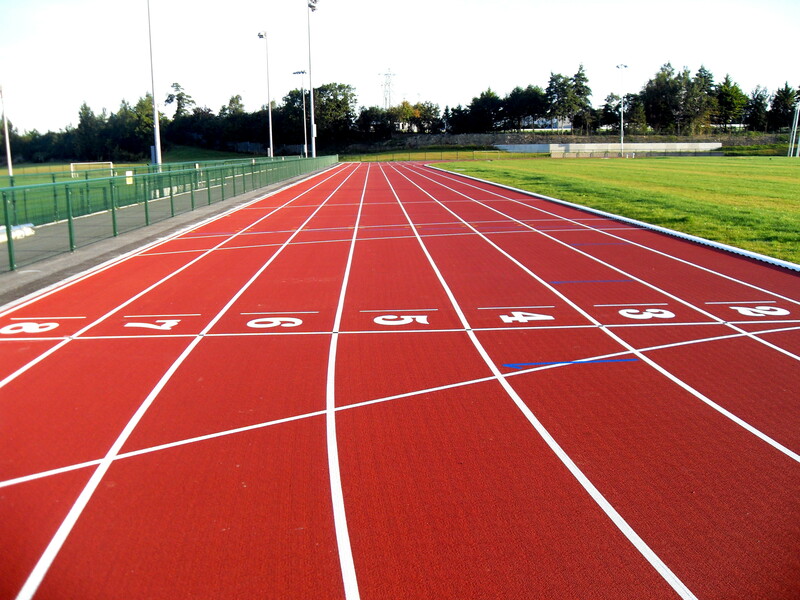 When building sports facilities, the polymeric surfacing specification is a popular material to use. 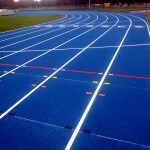 This is made up of EPDM rubber and can be installed in a number of designs depending on the sports which will be played. It is a hard court surface which is ideal for playing basketball, netball and tennis, and many schools have it installed for multi use games areas. Our team can carry out installations of these surface types in a variety of dimensions and colours. Please contact us today to talk about the prices and get a quote for the work you’d like us to complete. 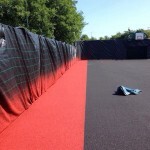 Polymeric EPDM rubber sports surfacing is a popular choice for many different sports facilities across the UK, including tennis courts, athletics tracks and multi use games areas. 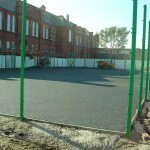 There are two main types of polymeric surfacing specification – Type 3 MUGA which has ideal slip resistance qualities for netball, and Type 4 MUGA which has a slightly lower anti slip rating and is more suited to tennis and basketball. These polymeric sports court specifications can be altered and tailored to suit the different requirements of each project to ensure you get the best sports facility for your school or sports club. 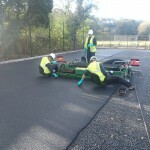 Each polymeric surfacing specification consists of a stone sub base and a macadam base which the polymeric rubber surfacing is then laid onto. The stone sub base is made up of reduced fines angular stones which lock together to make the surface of the sports court even, this stone sub base, along with the macadam base and polymeric surface, is permeable to allow water to drain through it which therefore prevents flooding. 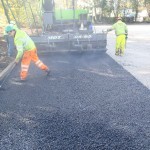 There are also a number of additional extras which can be installed as part of the overall polymeric surfacing specification. 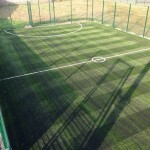 These include anti slip paint coatings and line markings to improve surface grip and enhance game play, as well as a selection of fencing types in different heights and floodlighting which can be customised to suit the requirements of each project. 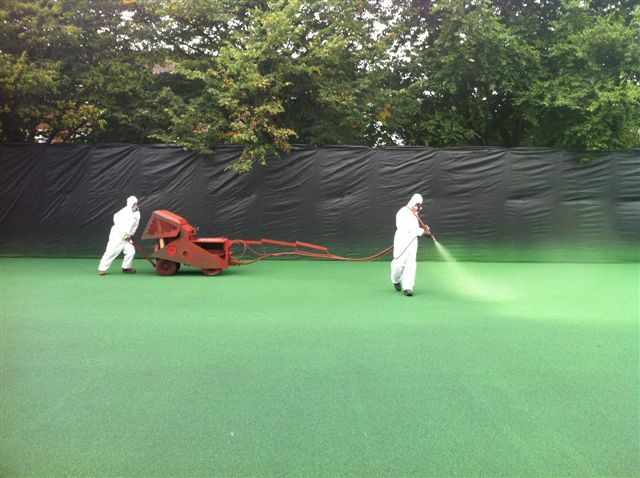 It’s important to consider all of these extra options for equipment and applications to ensure you can make the most out of your polymeric sports court once it’s been installed. Having different options with fencing, floodlighting and equipment can help you to turn the polymeric sports court into a multi use facility which is ideal for schools where they may not be a lot of available outdoor space. 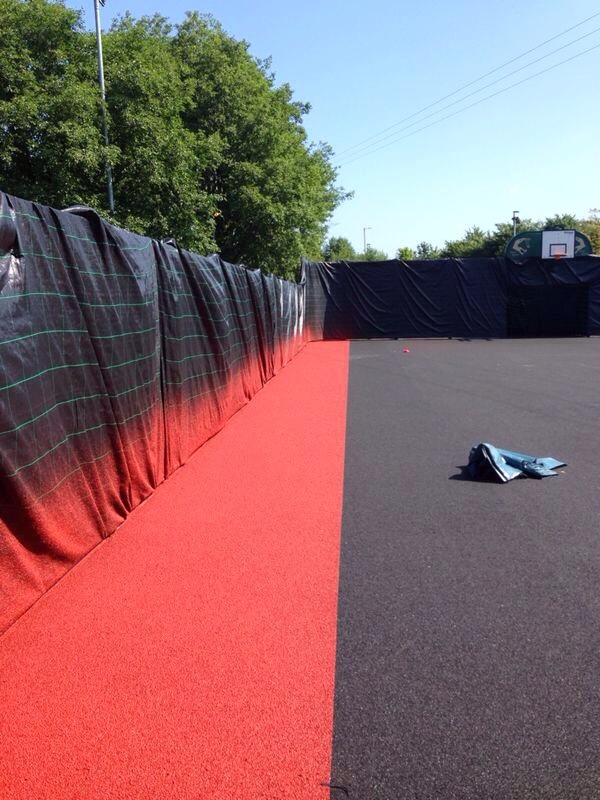 When putting together EPDM rubber sports court specifications, it’s important to think about the sports that the facility is going to be used for so you can choose the right polymeric surfacing specification which provides the best performance characteristics for those activities. 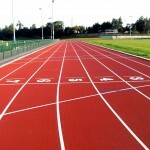 For example, if you’re looking to install an athletics track facility, the design for these will of course be a lot different than any of the rubber sports court specifications. Multi use polymeric courts will also require line markings in contrasting colours to distinguish between each sport, so it’s important that you know what your primary sports are going to be so accurate line markings can be applied. 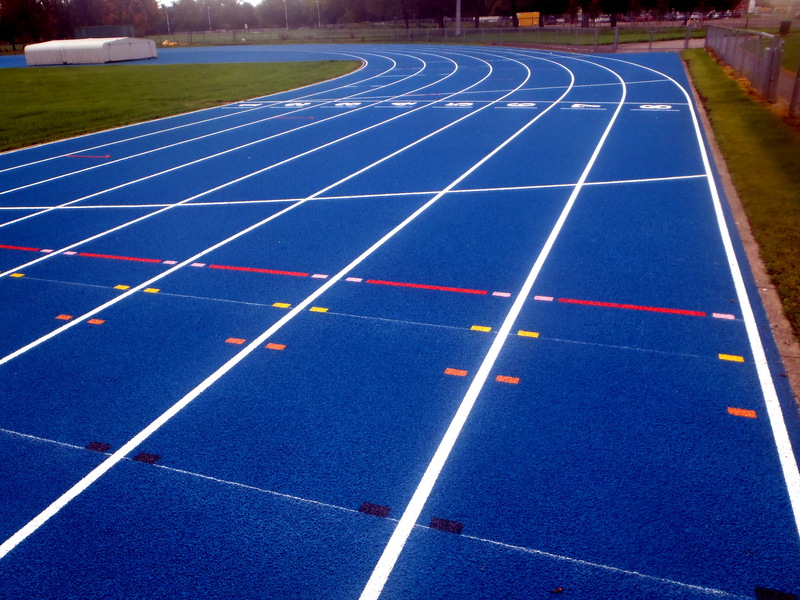 The polymeric surfacing specification you choose will also have an effect on the overall cost of the sports facility construction project, so this is something you need to consider when deciding on a budget for the installation. We aim to offer flexible prices and quotes to fit within your requirements while still ensuring you get a great value service and a top quality end product which has excellent performance characteristics and can be enjoyed for a long time. 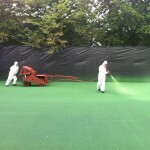 Please get in touch with us if you’re thinking about installing a new sports facility in EPDM rubber surfacing. We can assist you with creating designs and coming up with a quote which suits your budget, as well as installing the surface and offering after care maintenance services to keep it in top condition. You can fill in the contact form on this page to send us over details of the project you’re thinking of carrying out and we’ll get back to you with some further information on how we can help. There are loads of options for the polymeric surfacing specification, and we can tailor the design to suit you perfectly.